Diamond Bay Golf & Villas is a 7744 yard championship layout golf course designed by American golf course developer and architecture Andy Dye. Diamond Bay has a natural habitat playing along the Nha Trang Beach on one of Vietnam’s best beaches. The course is easily reached from both Nha Trang City and airport in less than 15 minutes. 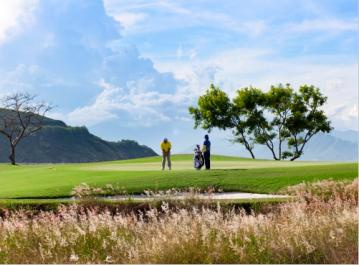 Vinpearl Golf Club is an 18-hole, par-71 international standard layout of 6,787 yards. 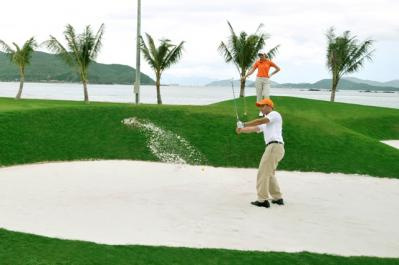 The golf course is part of the Vinpearl Resort and is set on Hon Tre Island in a private cove of Nha Trang Bay. The bay has been rated by Forbes Magazine as one of the most beautiful bays in the world and Vinpearl Golf Club offers a spectacular view of the bay from every hole on the course. It takes one hour by car and speed boat from Nha Trang’s Cam Ranh Airport to reach Vinpearl Golf Club.